Are you embarrassed by crowded, crooked, rotated, or gapped teeth? When you are not feeling confident about your smile, it shows. Many individuals cover their mouths when laughing or train themselves not to show teeth when they smile. Orthodontic treatment at National Dental can straighten your teeth and improve your smile with a personalized treatment plan, designed just for you. 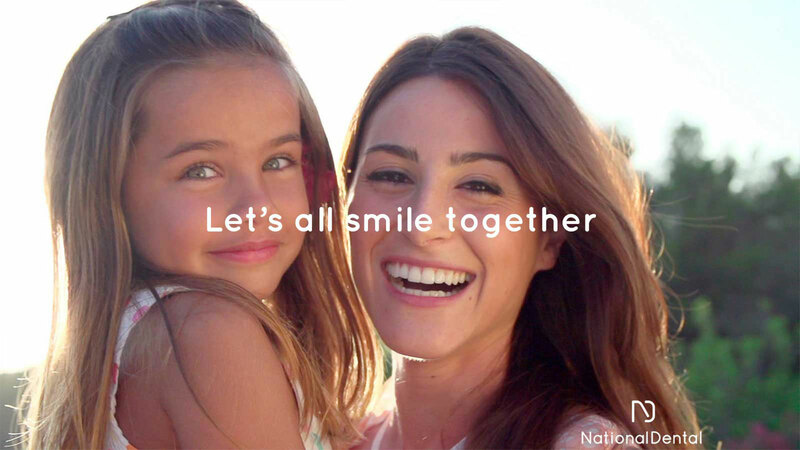 If you are searching for an orthodontist in New York, National Dental could be your solution. When most individuals pursue orthodontic treatment, their primary goal is aesthetics, and understandably so. After all, braces can deliver a beautifully balanced smile. But orthodontic care is so much more than that. Did you know that when your teeth are in alignment, all elements of your smile work together in harmony, providing optimal oral health? If the teeth do not fit together properly, it can lead to undue stress on the teeth and jaw joints, leading to enamel erosion, TMJ issues, and more. When you undergo orthodontic treatment at National Dental, you can have the best of both worlds: healthy function and beautiful aesthetics. The most common orthodontic treatment, metal braces are incredibly effective for correcting a wide array of alignment issues. Probably what you envision when you think of braces, these oral appliances are comprised of metal brackets, bands, and wires, which work together to move the teeth into their desired positions over time. Although metal braces have been around for decades, today’s appliances are sleeker and more comfortable than their older counterparts. This type of orthodontic treatment can accommodate your individuality as well. If you are feeling colorful, you can choose vibrant elastic bands for your brackets. If you prefer a more inconspicuous option, you can select clear or tooth-colored bands. 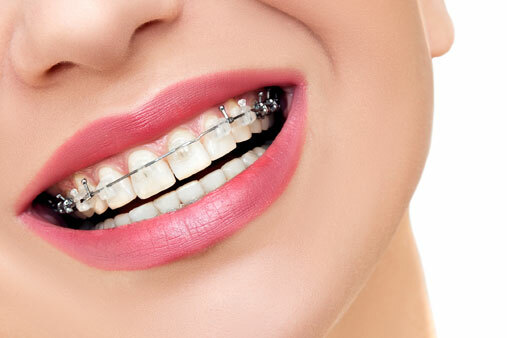 Suitable for patients of all ages, metal braces can straighten the teeth in about 18 to 24 months on average. If the thought of wearing metal braces does not appeal to you, Invisalign® is a clear treatment alternative. Rather than metal wires, bands, and brackets, the Invisalign system straightens the teeth using a series of clear thermoplastic aligner trays. These aligners are designed to fit snugly over your teeth for maximum comfort. Because they are virtually invisible, others are not likely to notice that you are undergoing treatment. In order to be effective, your aligner trays must be worn for at least 22 hours every day. They should be removed whenever you are eating, drinking, brushing, or flossing. Because the trays are removable, patients can still enjoy eating their favorite foods while straightening their teeth. Invisalign typically takes about 18 to 24 months to complete. However, it should be noted that this treatment is most effective for mild to moderate orthodontic issues. If your case is more complex, you may wish to consider conventional braces for optimal results. 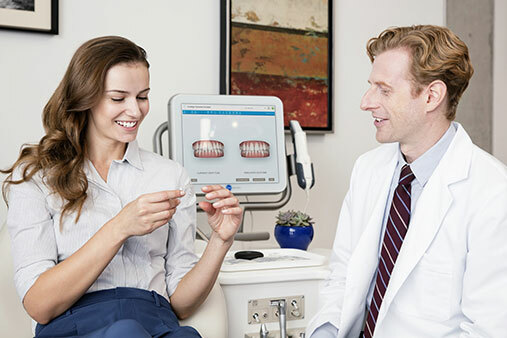 During a visit at our practice, your doctor can help determine if Invisalign is a feasible option for you. 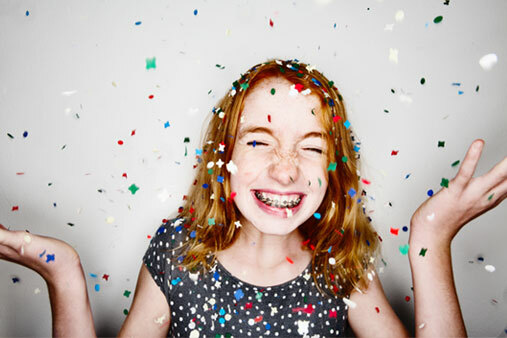 An overwhelming number of dental practices offer orthodontic treatment. In fact, even general dentists are placing braces every single day. However, at National Dental, we have licensed orthodontists on our team. In addition to graduating from a four-year dental school, these dental professionals have also completed a two- to three-year residency, specializing in the field of orthodontics. When you undergo treatment at National Dental, rest assured you are receiving the highest level of care possible. If you are interested in a straighter, more uniform smile, schedule a consultation with us today. Call us at (516) 535-0544 or contact us online.